The peg game is one of strategy and is regarded by many as a challenge to a person’s IQ. For others, this game is equated to chess and checkers and even Sudoku and can be played either alone or with a group. The primary focus of this game is to remove as many pegs from the board as possible and there are many different types of board shapes that are used to play this game, which include triangular and square boards as well as cross-shaped and octagonal boards. The common minimum number of pegs required is 14 in a 15 hole peg board and this number can go as high as double this initial number, depending on the size of the board. 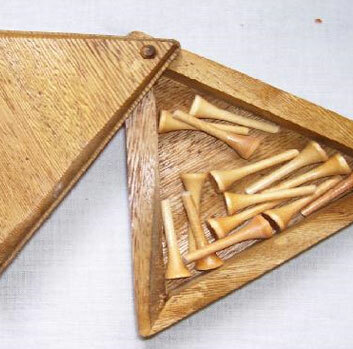 There are normally 15 holes on the board and each hole will hold one peg, however one hole will be left empty and this can be anywhere on the board. It is only possible to move the pegs by using one peg to jump over another; this means that there must be a hole available to receive the jumping peg. If you are playing on a board that has two colors of pegs, then it is possible to have two players and each player will be assigned a color. The player will then only be able to move his colored pegs over other pegs of any color into a vacant hole and the game will continue until one player can no longer move any of his pegs that are left on the board then the other player wins. It is important to note that peg games rules may differ according to country or even within a particular region or locality. There is for example a distinction between the game that is played in England and in Europe and the rules too, differ accordingly. Also within the United States, there are different views in different localities. If you are interested to play this game in a new environment, it would therefore be useful to read through the peg game rules or to get someone from that locality to explain them to you. Some of the variations in the peg game rules can be quite substantial and it would be ideal to know what these are before commencing play.